Desonide cream 0.05 is a synthetic corticosteroid used mainly as an anti-inflammatory and antipruritic agent. This topical steroid is known to help reduce skin inflammation. The mechanism in which it works is still unclear. In simple terms, it inhibits the release of certain chemicals that cause inflammation of the skin. It can also be used to treat itching caused by skin problems like allergies and eczema. The cream must be prescribed by a physician or health care provider in order to be given to the patient. It is not made for ophthalmic use. It should be used only for external purposes. The dosage should be strictly followed as indicated on the label. Do not overdose by taking the medication in larger amounts than recommended. Do not use it for a period longer than what is recommended by your doctor or health care provider. Using it for longer than recommended can cause serious side effects. The topical steroid can be absorbed by the blood through the skin causing serious steroid side effects. After you apply the cream on the affected area(s), do not cover it with any form of dressing or bandage unless you have been advised to do so by your doctor. If the medication is being used on the diaper area in children, you should avoid using plastic bags or tight fitting diapers. When skin that is treated with Desonide cream, a patient may experience adverse side effects because the topical steroid is absorbed in larger amounts. This medication should not be used on children without doctor’s approval and advice. Research has shown that children have a higher chance of absorbing high levels of this topical steroid through the skin. When the steroid is absorbed at high levels, it may cause unwanted side effects like a slow growth rate among children. If you believe that your child’s growing pattern has been affected by this medication, talk to your doctor immediately. The medication should not be used over a long treatment period among children. Before you begin using Desonide cream 0.05, consult your doctor if you have any allergy to certain drugs or if you have a skin infection. If you are suffering from a terminal illness like diabetes, make sure you tell your health care provider. Diabetic patients are usually told not to use topical steroids because they may enhance the level of glucose in blood or urine. It may be harmful to an unborn child. If you are pregnant or planning to get pregnant while using this medication, make sure you tell your doctor. If you are breastfeeding, make sure you ask your doctor if it is safe to use topical steroids. It is still unclear of how this medication passes into breast milk. There have been no conclusive studies that show if this medication can harm a nursing baby. 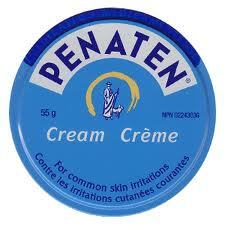 When you miss a dose of this cream, use the medication soon after you remember. If the next dose is almost due, then simply skip the missed dose and continue with your regular dosage. The worst thing you can do is to take a double dose. In case of an overdose, you need to consult your doctor immediately. 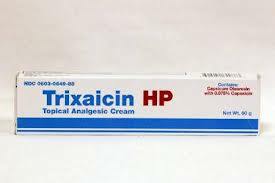 In most cases, overdosing this cream may not result in life threatening symptoms. However, when the medicine is used for a long time, an individual may experience thinning of the skin and easy bruising. Other symptoms of overdose include increased acne or facial hair and menstrual issues. In rare cases, overdosing the cream may cause loss of sexual appetite and impotence. When using Desonide cream, avoid eye contact. If you accidentally touch your eyes with the cream, rinse thoroughly with tap water. 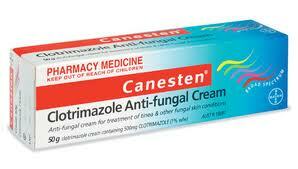 Do not use this medication on the skin that is broken or infected. Avoid using the cream on open wounds. There are other side effects which are not mentioned in this list. To get a full list of the possible side effects, ask your doctor. You should report anything unusual or bothersome after you start using this cream. There are drugs that may affect the effectiveness of Desonide cream. Drugs which are taken orally or injected may affect topical steroids. This is particularly why it is important to ask your doctor if you are taking any prescription or over the counter medication. You also need to consult your doctor if you are taking herbal medicines or supplements like vitamins and minerals. Make sure you consult your doctor before you begin taking any new medication. You can find an informative online reviews on this cream in order to get more details on other users’ experiences when using this medication. The information given above is not meant to serve as a guide to help you understand whether this medication is for you. You need to consult your doctor and get professional advice on whether this drug is for you. 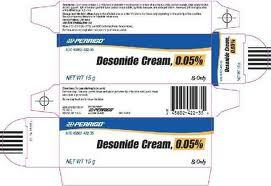 Remember, Desonide cream 0.05 can be used to treat eczema and common other skin conditions.